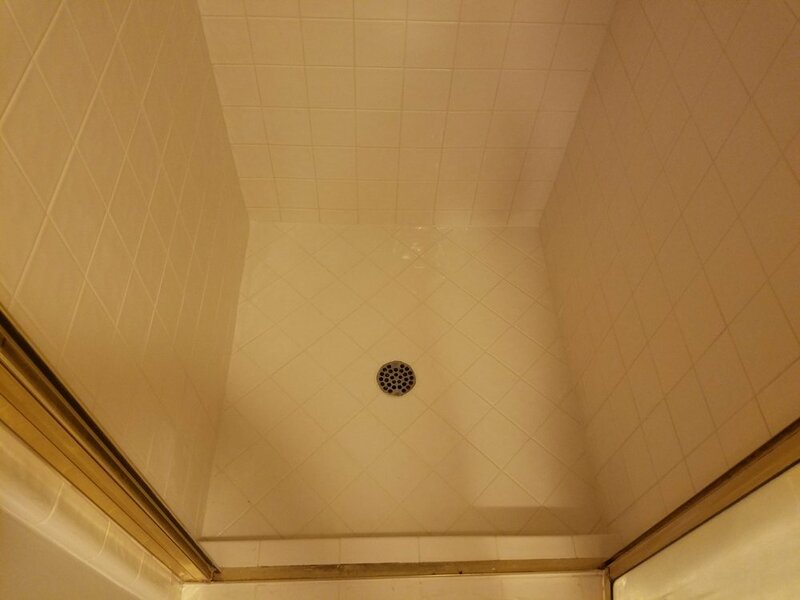 Have the experts clean your tile and grout, we well restore it to a beautiful like-new condition. Notice the heavy soap scum build up on the walls and floor. Restoration Tile and Grout uses a variety of cleaners designed specifically to erase mold, mildew, and soap scum build up. Our cleaners are environmentally safe and won't harm you or your pets. After a thorough cleaning it is highly recommended to seal your grout (and tile if needed). Grout is a very porous material and if left unsealed will absorb stains quickly. After a thorough cleaning the soap scum build up is gone!